If you own company what kind of 3D printer should you invest in? When you own a company and you are focused on a piece or a small-lot production, it should be a no-brainer for you. Invest in a 3D printer, get your prototypes quickly and customize your products. Should I buy simple RepRap 3D printer and use it in my company? You probably don’t want to, but you should. RepRap 3D printers emerged after a huge boom in 3D printing market. They are based on the principle of making cheap, almost self-replicating, devices. 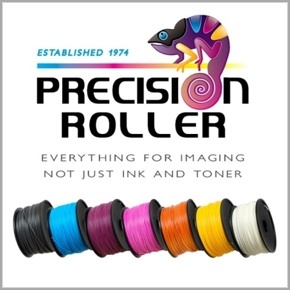 However, you need to put a lot of work into it to make the quality of printings at least satisfactory. Those 3D printers are well suited for hobbyists, who are not afraid of discovering the whole 3D printing world on their own. RepRaps, in other words, are not easily maintained, and thus you should think twice before buying one for your company. Should I go for a huge industrial 3D printer, then? If you own a huge manufacturing company, then yes, but you probably know that fact for years. Industrial 3D printers are very expensive and occupy a lot of space. Those big machines are very reliable, and are nearly maintenance-free. Industrial 3D printers have a big heated chamber with a stable temperature conditions inside. Further, even a filament change is an automatic process, because of the use of special cartridges. With big-lot production, other 3D printing technologies could be used as well. You should think about SLA, SLS or PolyJet printers. Nevertheless, an industrial 3D printer is a huge investment, and you should be sure of your choice. If so, I would suggest you contact sales reps from different companies and then make your final choice. So, what should I do when neither industrial nor RepRap 3D printers are suitable for me? Well, then the prosumer category of 3D printers comes with a perfect solution. They are meant to lie somewhere between hobbyists’ RepRaps and big industrial devices. It is the best solution for increasing the need for professional equipment in almost every branch of business. Prosumer 3D printers are reliable devices characterized by high repeatability, easy maintenance, and good 3D prints quality; in other words, everything you could wish for in your company device. Is there any particular advice for choosing my 3D printer? There are a few details you should pay attention to. First, you would prefer not to worry about configuring your device with every new roll of material. Thus, it is worth considering choosing a 3D printer brand that comes with dedicated filaments for their devices, so you wouldn’t need to worry about setting the right temperature for achieving the best 3D prints. Furthermore, you should look at 3D printers with stiff frames, with the possibility of being closed, as it makes the printing process more resistant to external conditions. Finally, choose a device which can easily be maintained. What does it mean? Get your 3D printer from a manufacturer who offers customer support and easy access to spare parts. Is this 3D printer investment worth devoting so much attention? 100% yes. Launching 3D printers into every business sector is a real game changer. When you are making some prototypes, you don’t outsource parts – you just 3D print them. When you are getting some small orders, you don’t reject them due to their being unprofitable – you just 3D print them. When you want to customize your products for each client separately, you don’t prepare hundreds of projects, you just 3D print them. Don’t hesitate any longer. If you are involved in business, which aims to produce some items or parts, you should pay attention to 3D printing. Specify your needs, choose a 3D printer and contact the sales manager. 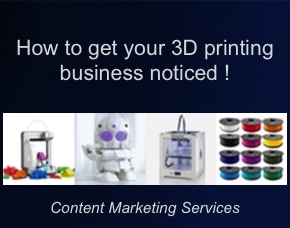 Home » 3D Printers - Articles » Do You Own A Company? What Kind Of 3D Printer Should You Invest In?